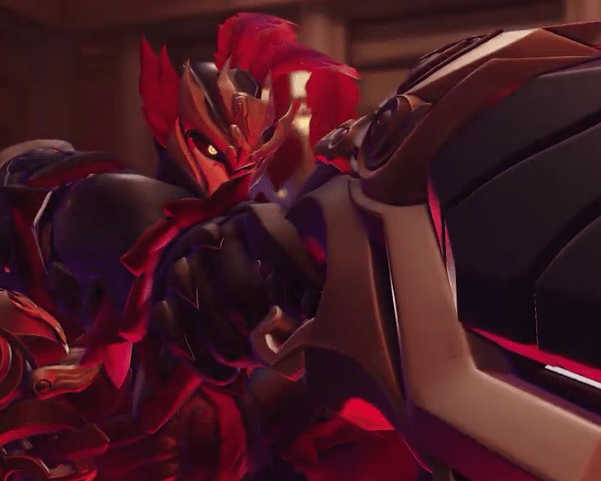 Overwatch reveals new Lü Bü Reaper skin for Lunar New Year event – AiPT! The first new skin of 2019 is here and it’s awesome. With the arrival of each new year, comes Overwatch’s Lunar New Year event hand-in-hand. This year players will join Overwatch in celebrating the Year of the Pig, which begins Jan 24 and concludes Feb 18. As per tradition, alongside the festivities comes a slew of new cosmetic items for players to collect — most important of which are of course the skins. Leading up to the event Blizzard will be revealing a new skin each day, and first up is Lü Bü Reaper. Take a look at the Overwatch Twitter account below to feast your eyes on the gorgeous new skin. The name Lü Bu comes from the legendary Chinese military general and warlord, nicknamed “Flying General,” who lived during the Eastern Han dynasty of Imperial China. Blizzard isn’t the first company to drawn inspiration from Lü Bu — Riot Games’ League of Legends features a Lü Bu inspired skin for one of their characters, Magic: The Gathering has a “Lü Bu, Master-at-Arms” card, and anime series Ikki Tousen and Ryofuko-chan also reference the general. Last year’s Lunar Event saw six Overwatch heroes receive new skins, and the year before that there were thirteen. Thus it’s without question that players can expect a number of other heroes to receive new epic and legendary skins themed after Asian culture. Along with skins players should also expect sprays, highlight intros, victory poses, and emotes. We’ll keep you updates on new skins as we approach Year of the Roadhog — excuse me, Year of the Pig.